A few years ago there was a big craze for home media players these devices were intended to make the watching of digital media on a TV much easier. Unfortunately the trend did not catch on all that well due to the heavy integration of many Media Player features into HD TVs. There was also a problem with the unfortunate fact that most media players used the same SoC, Media Playback CODEC and OS. It meant that in many cases there was little to differentiate products other than the brand name. Now things have changed a little as many of the original players have dropped from the market. Now the remaining companies are looking into different processors and also operating systems. 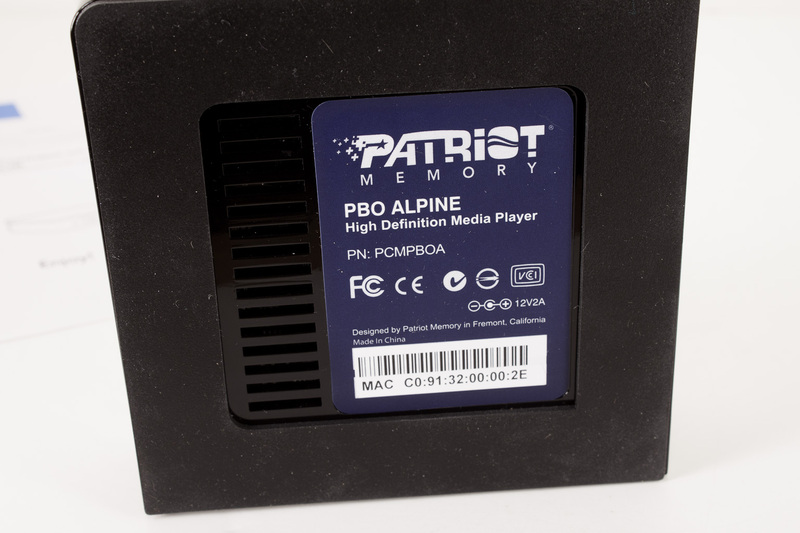 Today we are taking a look at one from Patriot, the PBO Alpine. 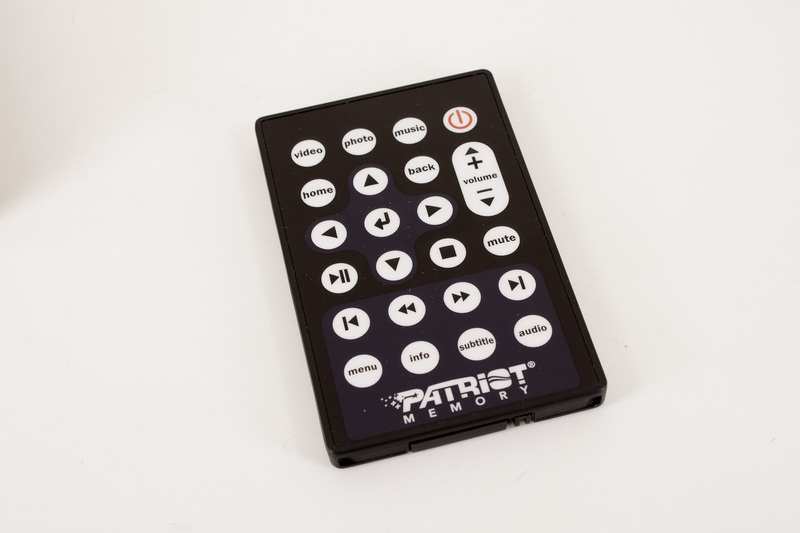 This is an extension of the original Patriot Box Office media player and offers a few improvements to the line. One of the more interesting ones is the use of Android 2.2 as the OS. So let’s check out the PBO Alpine to see what it brings to the table and if it is worth your time and money. 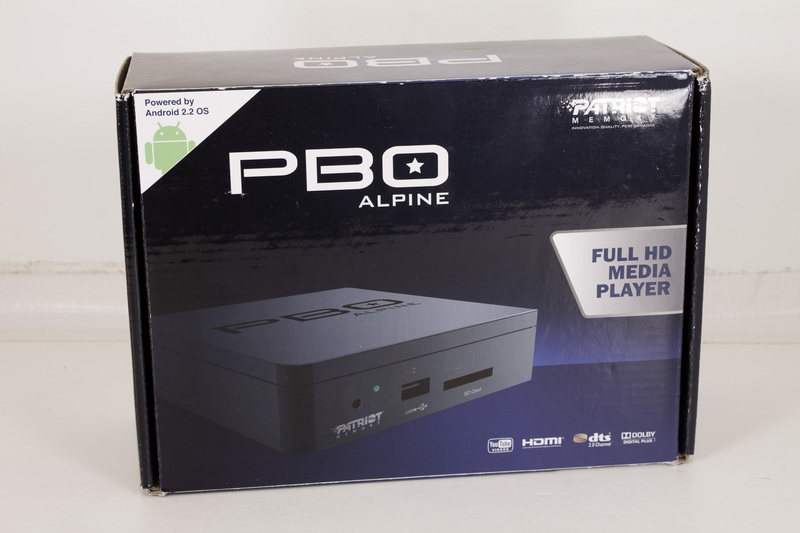 The box the PBO alpine comes in is pretty small when we first saw it we were a little surprised as most other media players we have tinkered with had much larger boxes. Still reducing the packaging can help shave off some money when you deal with thousands of units. The front shows off a render of the actual media player and lists a few highlighted features (like YouTube, dts, and HDMI support. In the upper corner is something that might attract a few people that were not happy with the older media players, this is the powered by Android 2.2 label. It could make things interesting although we wonder why Patriot did not chose Android 3.0 which has better support for larger resolutions. 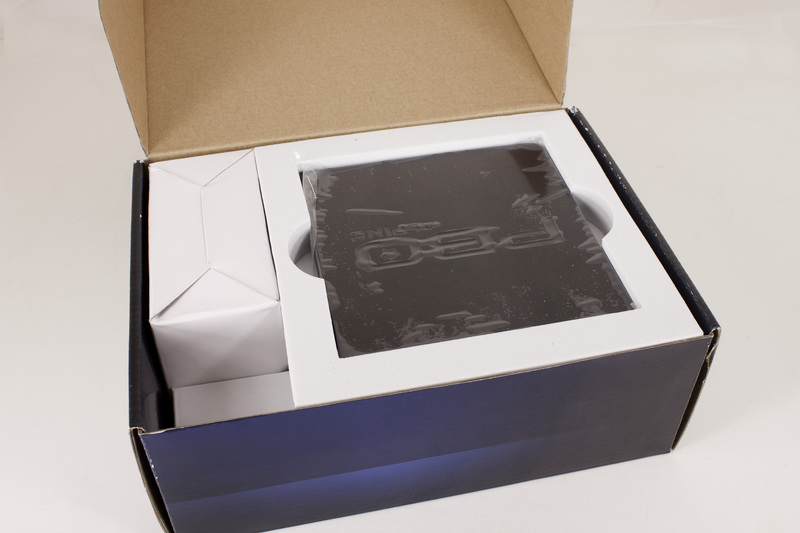 The back of the box gives you more detail and also shows you how the PBO Alpine fits into your home network. Inside the box you find everything you need to get the PBO Alpine working. 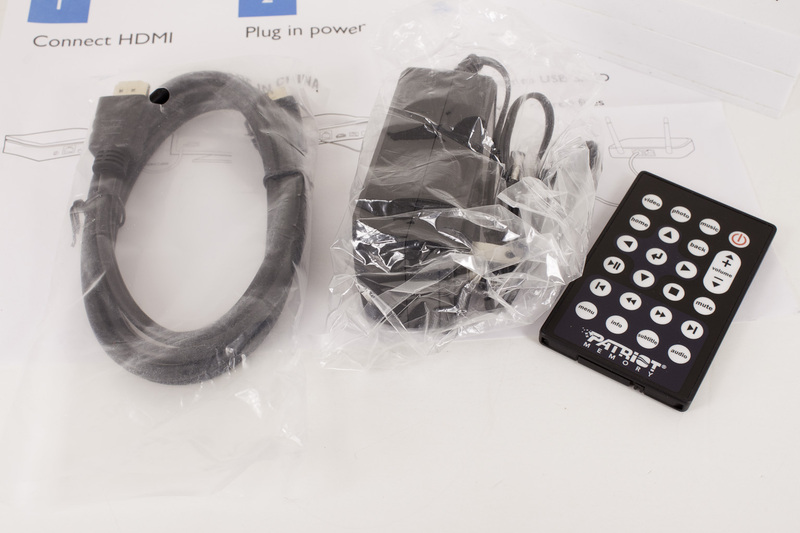 You have the PBO Alpine, a power supply, an IR remote, and an HDMI cable. There really is not much more to it than that. Patriot’s PBO Alpine is a very small unit. Unlike previous models it is also housed in a plastic shell. We were a little surprised at this as it meant there was no chance for an internal drive. The front of the PBO Alpine has a power LED, an IR sensor, USB port and an SD Card slot. The overall size of the PBO Alpine is very small which will allow it to fit easily onto a desk or entertainment center. You could even put it on the back of your TV (if it is large enough) with some double sided tape or Velcro. It is that light and small. 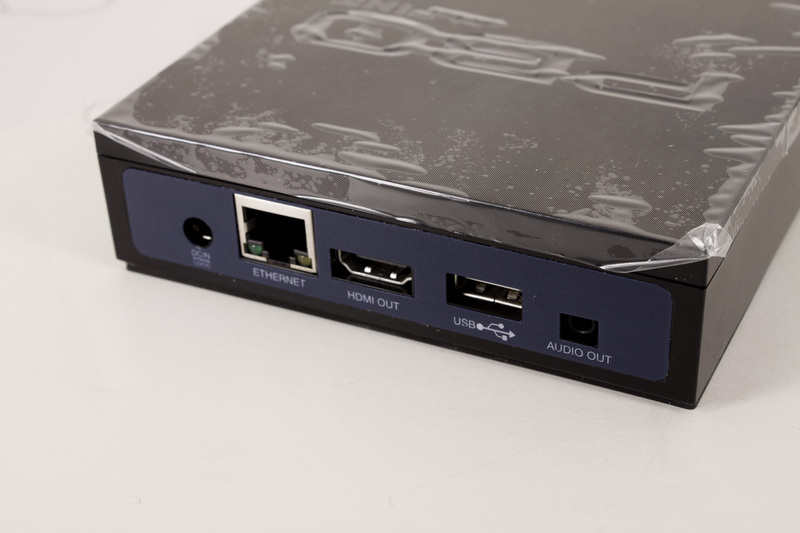 The back of the PBO Alpine has the power port, Ethernet port (Gbe) HDMI 1.4 port, a USB port and an audio out port that should be capable of at least giving you stereo sound if your monitor does not support HDMI audio or the speakers are just really bad. We shot a video that covers the insides and also the flow of the OS in more detail. We did not include any footage of movie playback though in order to prevent a nasty letter from anyone or having the video removed from our YouTube Channel. You can check out the video below or skip past it for now and read our thoughts on performance. To gauge the performance of the PBO Alpine we put it through some typical usage scenarios such as playing music and movies stored on a networked PC, viewing pictures from the same source, browsing the web, and also viewing some YouTube videos. In all we used the PBO Alpine for about two weeks playing the different media types we listed and then we turned it over to the kids to see if they could get it going. What we found was pretty interesting. Playing shared music in MP3 format on the TV posed no issues at all, the audio reproduction we good even if the speakers on the TV used were not. Navigation through some of the music was a little cumbersome at times, but once you get used to it things become very intuitive to use. Since it is an Android based system you can actually install apps other than the ones that come with it. There is a trick to it though; for starters you need to get the installer or easy installer app installed. Once you do this it is pretty easy to install your aps from .apk files. At this time of this writing there is simply no way to use the Play Store on the Alpine without flashing a different ROM to it and that has even more complications to it. We also found that many apps that we tried to install would not launch or would lock up. The most probably reason for this is they are looking for drivers and hardware that is simply not available on the PBO Alpine. Patriot might want to consider adding in the Play Store to the next firmware update. It would make the PBO Alpine a very interesting device if it were there. Here is where the Alpine did its best. The Alpine was able to play just about any video format we threw at it, although it liked H.264 best and had the best response with those files. With some .avi files (XviD mostly) there was a slight lag when it loaded even if the file was one a locally mounted drive (via the USB ports). We watched multiple hours of video from a shared file and from YouTube both worked without issue. We do wish that Patriot had a Netflix, Hulu or HBO Go App, but again maybe they will come up with that in a future revision. Navigation through the home screen menu is simple and intuitive, but the remote is a little picky. We found that if you are outside of a 30 degree angle up or down it will not respond. You have to make sure that you are pointed directly at the IR sensor on the front to make sure that is picks up your signal. The on-screen keyboard was also a little awkward to work with as you saw in the video above. It was complicated even more by the fickle remote. Value is another very subjective topic. What is expensive to some might be a deal to others. You can look at this topic in multiple ways. One is raw price and the other is what you get for the money. Each is accurate and both are correct ways to look at price/value. We tend to look at features, performance and real-property when we discuss value. However, we also take into account the raw cash cost of the item. 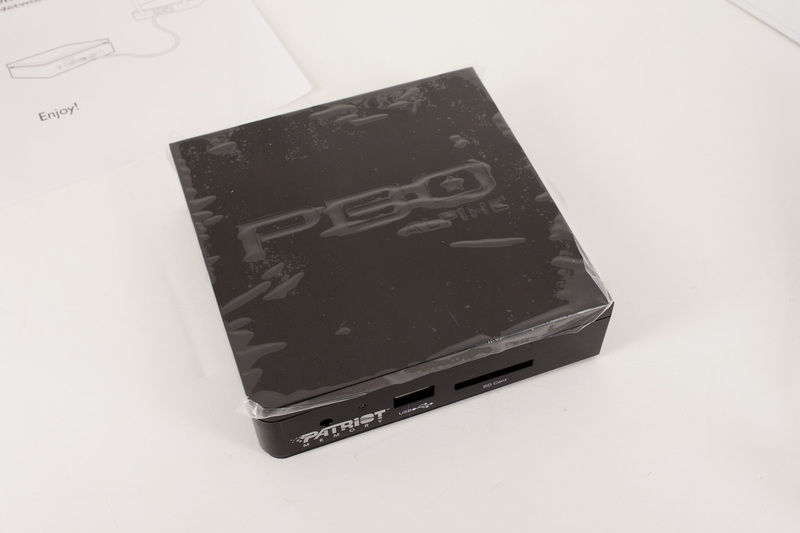 The PBO Alpine costs about $90 on most of the e-tailer websites that we found it on. This is a good price even with some of the issues we found. We do wish that there was a way to install an internal drive though. It actually added some additional value and made it much more portable. 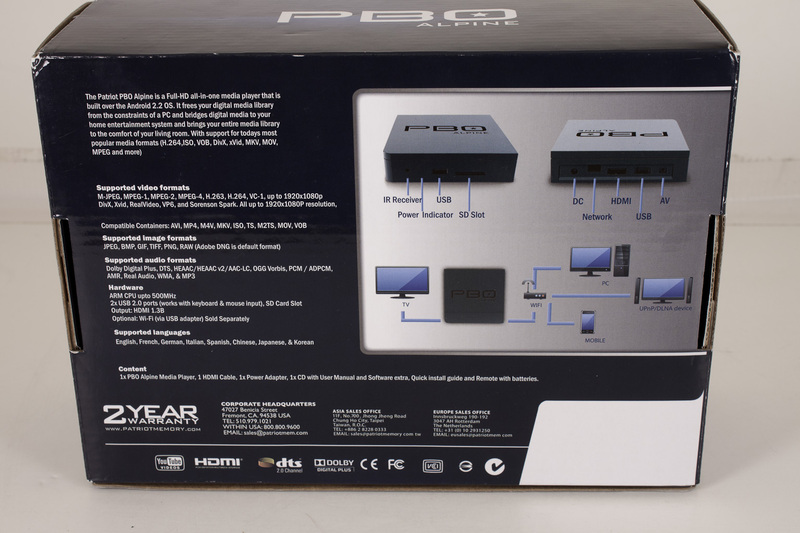 We saw some people using the PBO Core in their RVs, they would upload new music and video to the HDD they installed in the PBO Core and have entertainment on the rode without needing to worry about satellite or an antenna (our PBO Core is setup for this as well). Considering the cost of DVDs, mobile satellite etc. $90 is a pretty good deal. The Patriot PBO Alpine is a handy product. It actually has more than just a single use in the market. As we mentioned it works great in places where installing traditional TV or cable is impractical and also can be used to allow access to files on displays that you do not want to have a full computer connected to or that have no access to your network. Patriot does need to work on the IR sensor (or move to RF) and also load the PBO Alpine up with a few more applications to make it even more interesting. 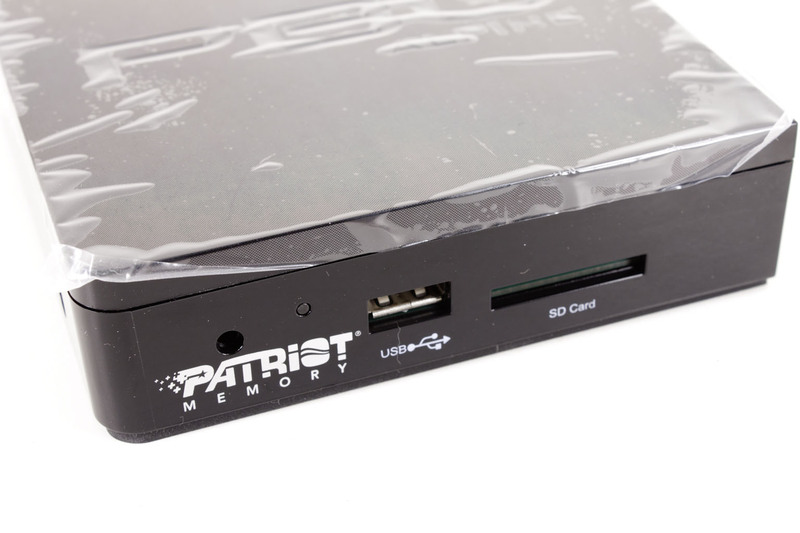 We also wish that Patriot would have left room for some sort of internal storage. Still at $90 for an HD Media player it is not bad at all. Is Winamp shutting down, or just being sold to Microsoft?